Background - The marina had an old timber pontoon and gangway which had become unsafe and slippery. The Project - Decksafe needed to supply an alternative to traditional timber as this has inherent problems with rotting and becoming slippery in a relatively short period. 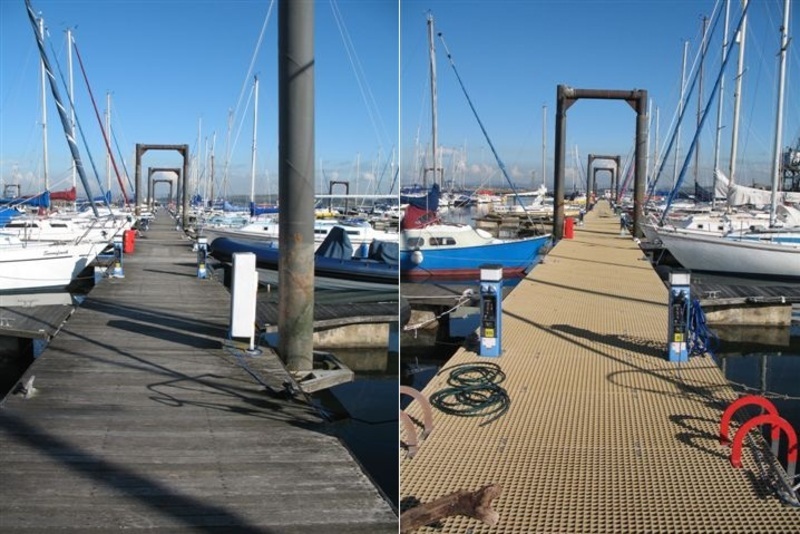 The Solution - We supplied and installed Anti -Slip marina decking which is lightweight, non corrosive, requires no maintenance and has a more longer life span than timber.